I know I’m not the only one who has been riding in a vehicle trying to take a drink from a wide-mouth water bottle when suddenly the driver brakes, hits the gas, or goes over a bump, and you end up in a soaked mess. 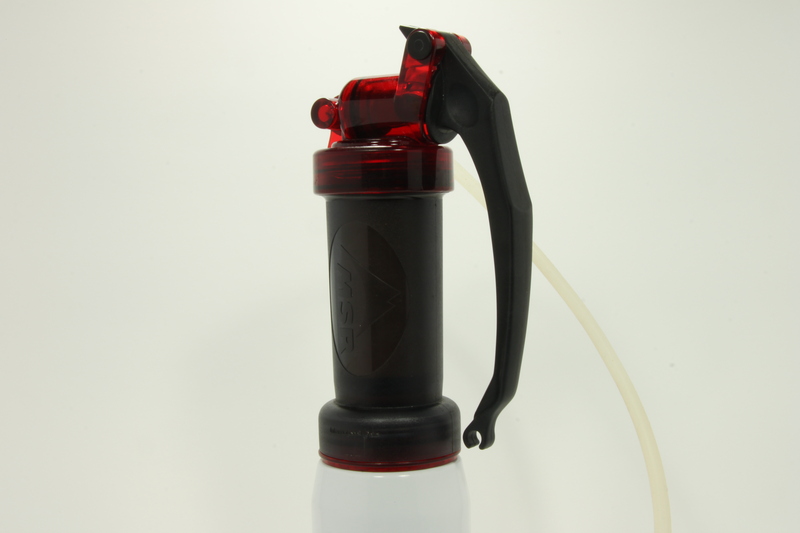 The MSR Alpine Bottle alleviates those issues while still having a wide-mouth option. Size: 0.75L / 25.4 oz. (shown) or 1.0L /33.8 oz. Colors: Stainless, White, or Black. If those colors don’t suit you, a few sprays of teflon paint will surely do the trick. 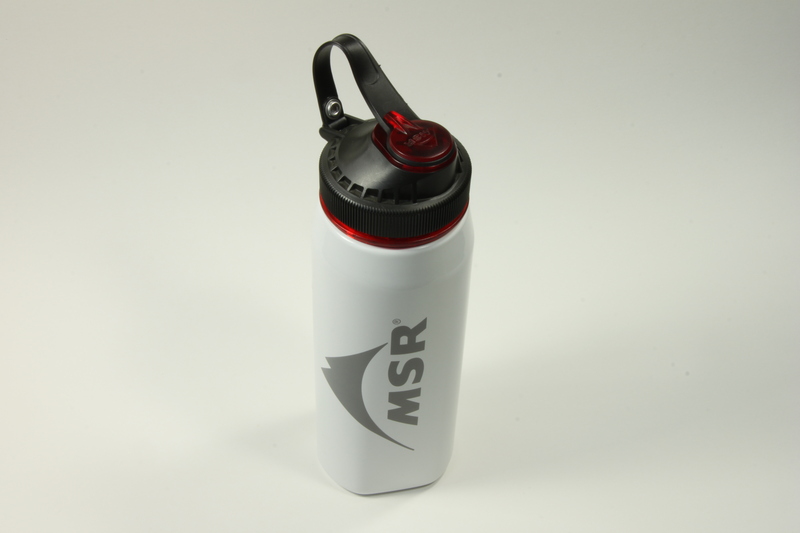 The MSR Alpine Bottle has some favorable features that make it a worthwhile purchase. The bottle has a tri-lobe design that is easy to grip, but still fits snuggly into vehicle cup holders. 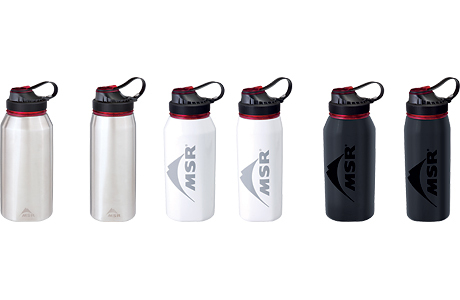 The large twist-top is compatible with all MSR water filters, like the MSR MiniWorks below. The large opening is big enough to add ice, sports drinks, protein powder, or your favorite whiskey without making a mess. One of my favorite things about his bottle is the mini port on the top of the lid. It is easily opened with a half turn and allows drinking while on the go or in the back of a moving vehicle. The material that keeps the port lid hinged is tough, so there is no worry of breaking with repeated opening and closing. If you are looking for bottle that is durable, slim in design, and has drinking versatility, you may want to replace your old plastic bottle with the MSR Alpine Bottle. The only improvement would be if they started to offer an insulated version. The MSR Alpine Bottle can be purchased on Amazon.com.